(214-632-9060) or E-mail us. Chances are, we can get it for the same Fantastic Savings! 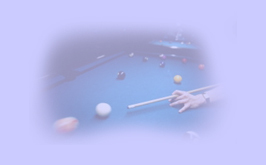 At The Hawley's Billiards, we pride ourselves in providing our customers an enjoyable experience through Personalized Service, Excellent Selection and THE Lowest Prices, and a Passion for the game of billiards that is rarely found in today's marketplace. We know that you enjoy yourself more when your game is at its best. What is it that brings out your best game? We believe there are a number of things. And most importantly Your Equipment. With this in mind, we are proud to bring you The Billiards Showroom, your best source for all of your billiard and game room equipment. Why the best? Based on continuous checking of our competitors, we have the lowest or near lowest prices on the internet or we will match 'em. Finally, our customer service level and attentiveness to your needs are legendary. 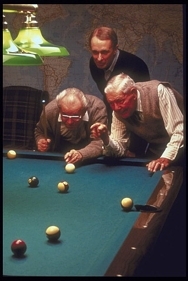 From the Owner and his helpers, we are here to meet your Billiard and Game Room Equipment needs and do whatever it takes to give you the excellent personal service you deserve. Call us now at 214-632-9060 or email us at walter@hawleys.com. Consistency in Your Game... Craftsmanship in Your Cue. Start looking through the pool cue brands by clicking your mouse on any one of the links. And if you do not find the pool cue or case your interested in, please call us. We carry much more than we have shown here including many major brands of pool cues and cases as well as billiards books, DVDs, and accessories. When you are ready to order feel free to call our number (214-632-9060) for more Personalized Service. The average person living to age 70 has 613,000 hours of life. This is too long a period not to have fun? 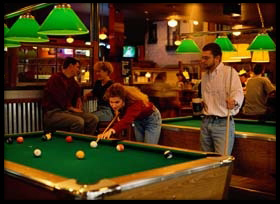 For almost 20 years, Hawley¡¯s Billiards has served the Dallas, Texas area as a public poolroom with a wide selection of billiard and game room equipment. At Hawley's Billiards, we pride ourselves in providing our customers with an enjoyable experience, personalized service, and low prices. 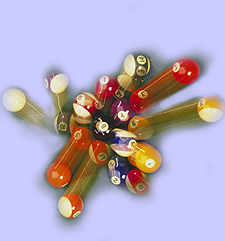 If you are looking to purchase custom pool cues, Hawley's Billiards carries a large assortment of quality pool cues for very low cost. Over the years, Hawley¡¯s Billiards has built a solid reputation for offering the finest cues, cases and billiard supplies. Experience the difference that a new custom pool cue will make for you and your game. 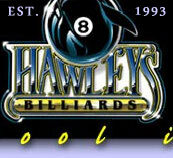 Hawley¡¯s Billiards will match any advertised price and guarantees your satisfaction on all products purchased. If not, you will be refunded in full. Contact us at 214-632-9060.